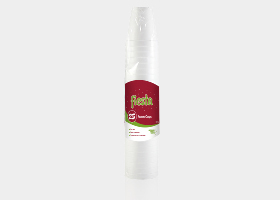 Suitable for hot and cold drinks, Fiesta® Foam Cups are proudly made in Australia from CFC free materials. Range includes: Foam Cups 237ml. allowing more time to enjoy family and friends without the worry of washing up. Round Plates 7" & 10" 20pk, Oval Plates 20pk and Bowls 10pk. Fiesta® Serviettes are a must for every household, ideal for mealtimes, picnics, BBQ’s and entertaining with family and friends. 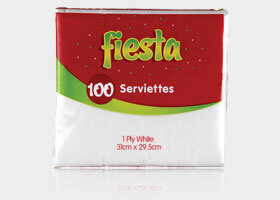 A soft and environmentally friendly product, Fiesta® Serviettes are embossed and available in 1 ply white. Range includes: Serviettes 31cm x 29.5cm 100pk. 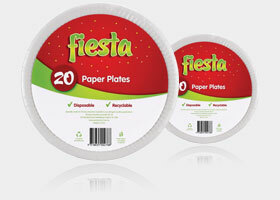 Fiesta® Paper Plates are great for picnics or parties and are a convenient alternative to washing dishes. 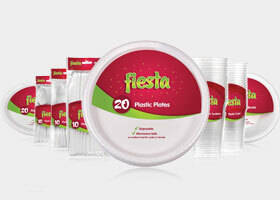 Made from food grade recyclable paper, Fiesta® Paper Plates are disposable and provide you with an environmentally friendly alternative to plastic plates for all your entertaining needs. Range includes: Paper Plates 9” 20pk & 7” 20pk. 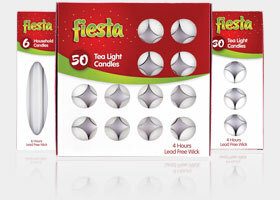 Fiesta® Household & Tea Light Candles are the perfect solution to your household needs. Range includes: Household Candles 6pk, Tea Light Candles 30pk & 50pk. 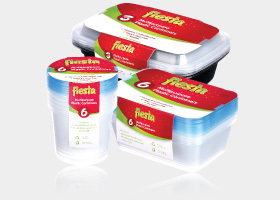 Fiesta® Plastic Containers are the perfect food storage solution for everyday use. in 3 sizes and are microwave, dishwasher, fridge and freezer friendly. Range includes: Rectangle 1ltr - 3pk, Rectangle 750ml - 6pk & Round 700ml - 6pk.